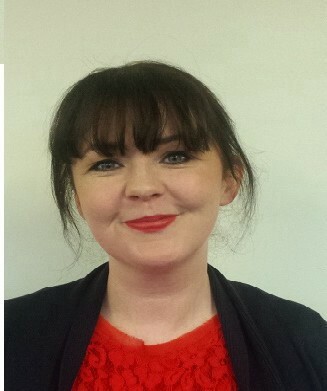 Dr Amanda Slevin is a social scientist, educator and qualitative researcher who works as a Lecturer in Social Policy with the School of Social Sciences, Education and Social Work in Queen's University Belfast. Amanda's research concentrates on society-environment interactions, including processes of policy formation and decision-making around energy and the environment. Her Irish Research Council funded PhD research (2009-2013, UCD) was the first academic study of Irish state hydrocarbon management and its consequences for communities and wider society. Reflecting her background in community education and development, Amanda is also interested in how communities and other stakeholders are involved in decision-making around energy projects and responses to climate change. Author of Gas, oil and the Irish state: Understanding the dynamics and conflicts of hydrocarbon management (2016, 2017, Manchester University Press), Amanda’s research interests include state hydrocarbon management, multi-level responses to climate change, Irish political economy, environmental sustainability, ideology and resource management, transformative education and community activism. Amanda has also undertaken research on broader social, economic and political issues within contemporary society and was involved in ‘Generation What’, a pan-European research project on the views and experiences of nearly one million 18-34 year olds. Working with colleagues in UCD's School of Sociology, Amanda was part of the research team that analysed findings of the survey undertaken by over 33,000 young people in Ireland; she also provided analysis of the Irish findings in a RTÉ 2 documentary which was televised in October-November 2017. Amanda holds a PhD in Sociology from University College Dublin, a MA and HDip in Adult and Community Education (both with first class honours) from Maynooth University, and a BA Hons in Community Development (first class honours) from Letterkenny Institute of Technology. She completed postgraduate studies in 'Energy, Environment and Sustainable Development' with the University of Oslo and conducted primary research on Norwegian state hydrocarbon management while in Norway. She has also undertaken a wide range of professional training related to learning technologies, blended delivery, community leadership, youth work, advice and guidance. Amanda's professional experiences mirror her academic interests and she has previously worked in several higher education institutions (National University of Ireland Galway, University College Dublin, Royal College of Surgeons in Ireland), adult and community education organisations (An Cosán Virtual Community College and Donegal Vocational Education Committee [Donegal ETB]) and several community and voluntary sector groups.